What is the cost of a forklift/pedestrian collision? 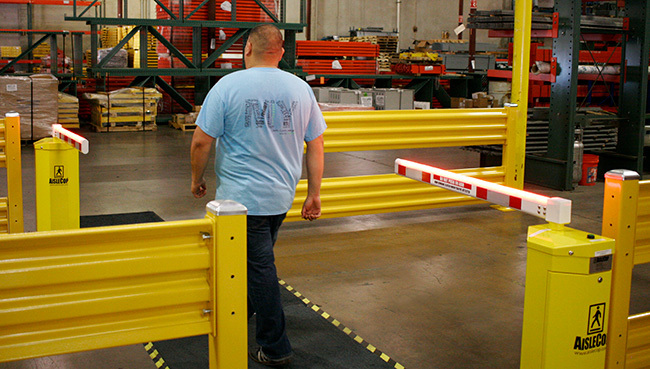 We see two kinds of operations that have utilized AisleCop® forklift safety gate systems. The first are those companies who have defined traffic plans and are looking to prevent possible accidents in high-risk, limited-visibility, or heavy-traffic aisles. They foresee potential accidents and are taking measures to prevent them. The second kind are companies who have had an incident, or a near-miss. 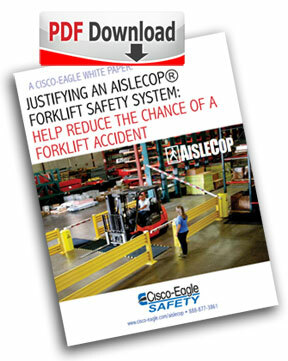 Aside from the fact that it could help save a life, or help prevent horrific injuries (the only kind that a forklift-pedestrian accidents seem to produce), AisleCop® can also save money in a variety of ways. It can reduce legal expenses, affect insurance costs, and increase worker morale. It’s an investment in people, but may end up saving far more money than it costs, with just a single prevented accident in its lifetime.